New York Workers' Compensation Lawyer - Suffolk County Social Security Disability Attorney - Richard R. Rowe, P.C. Richard R. Rowe is a seasoned New York Workers’ Compensation Attorney and Social Security Disability Lawyer. 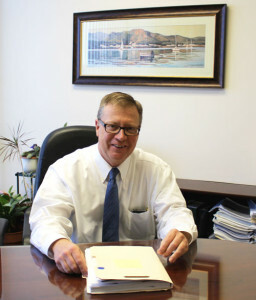 If you are seeking a Social Security Disability Attorney or Workers’ Compensation Lawyer, Richard Rowe can assist you. Mr. Rowe has represented clients in the area of workplace injury and disability law in Suffolk County, New York and surrounding boroughs since 1995. His practice is dedicated to providing workers with comprehensive, individualized legal representation, and outstanding client service. Mr. Rowe has successfully helped his clients file claims for their benefits, and has represented them before both the Workers’ Compensation Board and the Social Security Administration. He understands how a work-related injury or disabling condition can affect your life, and will help you fight for the benefits you deserve. Richard R. Rowe has represented numerous clients in their New York workers’ compensation cases, and has extensive knowledge of workplace injury law. 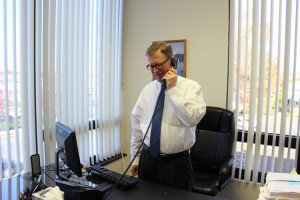 After working for a prominent Long Island workers’ compensation firm, Mr. Rowe opened his own practice, where he provides clients with knowledgeable legal counseling and personalized service. He understands how complex workers’ compensation law can be, and stays current on any changes so as to provide his clients with clear, concise explanations of their rights, benefits, and the legal process. From filing the initial workers’ compensation claim to handling appeals, Mr. Rowe will strive to provide you with comprehensive legal services that meet your specific needs. He will assess your case and offer you the guidance you need to move forward in claiming the benefits and income you need in order to treat your injuries and support your family. Mr. Rowe also represents clients in their Social Security disability claims. 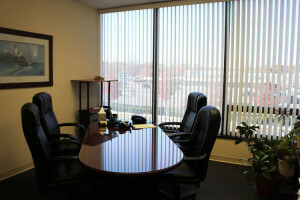 His extensive experience in this area includes working for the largest Social Security law firm in the country. Now working as a solo practitioner, Mr. Rowe is able to give his clients experienced legal representation that is tailored to their specific needs. He can guide you through the filing process and handle any appeals. He has represented individuals at numerous hearings before the Social Security Administration, and can help you identify any next steps that may be available to you if your claim was denied. Mr. Rowe is dedicated to client service, and will provide you with the diligent legal representation you need. Richard R. Rowe is committed to providing each client with individualized legal service. As a solo practitioner, he is focused on providing clients with high quality legal representation. This means that as his client, you will work directly with Mr. Rowe. He will give your case the personalized attention it deserves. He will meet with you to assess all aspects of your case, answer your questions, guide you through the initial filing and subsequent paperwork, and represent you in any appeal. With his experience and understanding of the law, Mr. Rowe will give you skilled legal representation and quality client service. New York work injury lawyer and Social Security disability attorney Richard R. Rowe can provide you with the knowledgeable, personalized representation you deserve. His extensive experience and commitment to client service means you can count on dedicated legal advocacy for your claim. If you were injured at work, or will be unable to work for at least twelve months due to a disabling condition, call us today at (631) 285-6500 or contact us online for a free consultation.